Hollywood is headed for a historic decline, as summer box office revenue is projected to fall 16 percent from the same time a year ago. A West Virginia man has formed an official campaign committee to attempt to draft actor and former professional wrestler Dwayne “The Rock” Johnson into the 2020 presidential race. 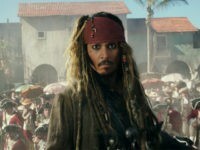 Hollywood’s obsession with remakes, reboots, and sequels may finally be catching up as domestic summer box office receipts have fallen eight percent to date over summer 2016 due to a string of big-budget flops and underperforming tentpoles from major studios this year. 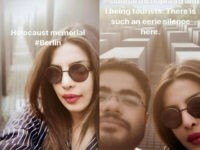 Actress Priyanka Chopra was ripped on social media this week over pictures she posted to social media showing her posing at a Holocaust memorial in Berlin, Germany.